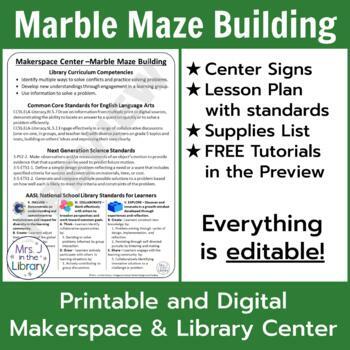 Ready to try something different in your library, computer lab, or classroom? Want to encourage your students to develop problem solving and critical thinking skills while having fun? 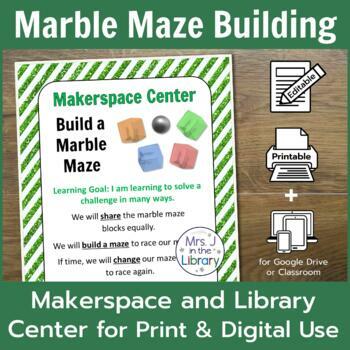 Create a makerspace!! 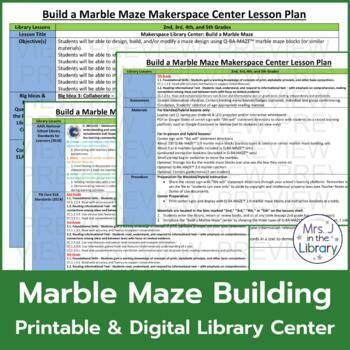 This zip file includes the printables and lesson plan you’ll need to set up a makerspace center (also called a maker space, hackerspace or DIY center) in your library or classroom using Q-BA-MAZE™ marble maze building sets (not included obviously). 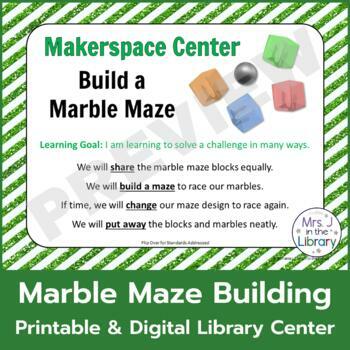 If you aren’t sure about whether or not a makerspace / DIY center is right for your library, I’d recommend downloading the preview and doing your own research on makerspaces and Maker Faire. I’ve found the "Makerspace Playbook" by Makerspace Magazine to be very helpful. 3-PS2-2. Make observations and/or measurements of an object’s motion to provide evidence that that a pattern can be used to predict future motion.